According to Action Bar Icons action bar icon for the mdpi screen should be 24 x 24 px but the icons in Action Bar Icon Pack for mdpi are 32 x 32 px. The sizes do not match for other screen sizes neither. So which one is correct and what dimensions should the action bar icon have? UPDATE: this answer is no longer valid, see the below answer for more up-to-date guidelines. 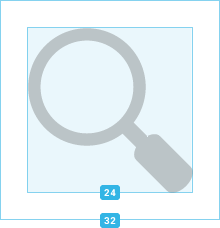 I believe they have to be 32x32dp, but the actual image itself should be 24dpx24dp centred. 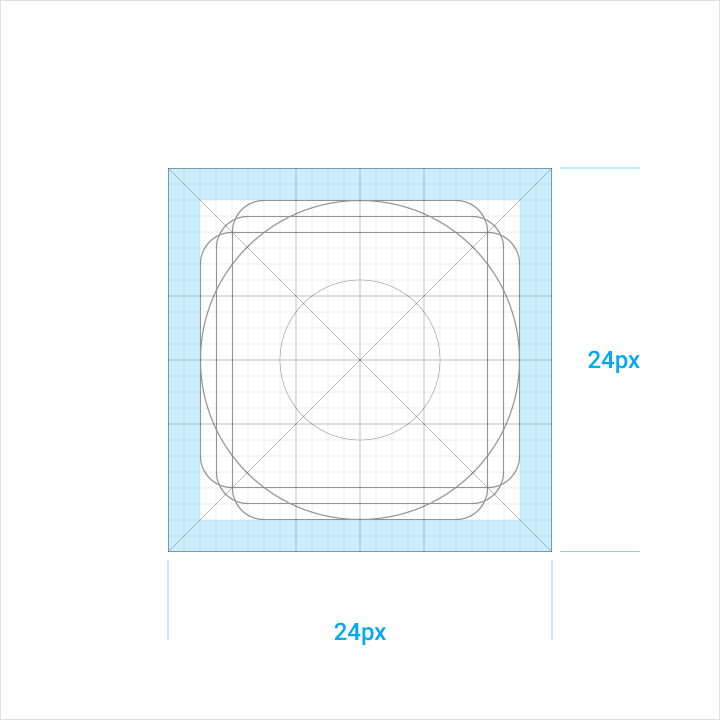 The Android design website has the correct guidelines. I've conducted more testing with AppCompat ActionBar. I found out, that the ActionBar takes care for itself to enforce the minimum 48dp touch target size. I also found out, that the AppCompat ActionBar still expects action bar icons with a 32dp square size. My previous assumption (see figures below) that the full asset size expanded from 32dp to 48dp is not correct. The 48dp are talking about the touch area. The confusion was caused by the revised Material Icon Spec document which is linked in the much older ActionBar document. Now you will have your icon in the correct resolutions. Not the answer you're looking for? Browse other questions tagged android icons android-actionbar actionbarsherlock or ask your own question.